was seriously injured in a car accident after serving her second tour in Iraq. There is definitely a new face of war as women become more involved in combat. While women have served non-militarily as nurses and in other supportive roles for hundreds of years, young mothers are now going into harm's way along with their male counterparts. More than 40,000 women have served in the Gulf Wars alone. These women are serving proudly, with dedication and courage and they are serving voluntarily. However, when they return home, they're doing so with severe injuries, such as missing limbs, head trauma, and disfigurement in many forms, just like many of their male counterparts. The Veterans Administration has long been a highly recognized source of care, providing the very best hospitalization for the wounded service men and women. Highly skilled doctors, nurses, and surgeons, as well as neurological, physiological and psychological specialists make up the outstanding care teams in this country's VA system. The Poly Trauma Center, which opened in February 2012, is a new and extremely high tech facility attached to the present Audie Murphy Veterans Hospital in San Antonio. The PTC is a shining example of VA upgrading and determination to provide hospital care for our younger generation of veterans today. Beyond that initial hospital stay, however, there is an ever increasing need for facilities providing longer convalescent or rehabilitative care. In many states across the United States, Veterans Administration Homes offer such care, but they are geared toward older veterans. Neither the type of care, nor the dignity of young women returning home with injuries requiring long term care, is met in these types of facilities. Such is the situation with our daughter, Major Kristine Ratliff, RN, USAF Retired. Kris's life changed completely in the blink of an eye on April 21, 2010 as she traveled home from Wilford Hall Medical Center at Lackland Air Force Base where she served as a pediatric intensive care unit (PICU) nurse. She suffered an extensive traumatic brain injury when the right side of her head was crushed as a result of being hit broadside by an F-350 pickup truck. After spending almost two years in outstanding rehab facilities, Kris was sent to a nursing home for a few weeks until another "approved" facility was available. A few weeks became eight months, and our daughter deteriorated measurably. It was deplorable. Some organizations have seen the need, have stepped up to the plate, and are already answering the call by providing one-to-one care along with rigorous daily therapy from highly skilled therapists. One such organization is CORE (Center Of Rehabilitation Excellence), which has several small facilities in the state of Texas. Our daughter was sent to a CORE home in July 2012, and she is excelling. The months of struggling and often demeaning care she received prior to going to CORE is but one part of the poignant story that cries out for change. Dignity is key. A deployment of 550 of Highlands County's National Guard left in mid-February. Many were young mothers as well as young fathers. While our heartfelt prayers and hopes go with them that none will come to harm, unfortunately, some may return with wounds that may take years to heal. The State of Florida is already home to one of the largest older veteran populations. We are in a new era of veterans and a new kind of home is what's needed for those brave men and women who put themselves in harm's way to defend this country's freedoms. Freedom is not free. Carol Kline is a professional entertainer with a more than 30-year background in health care, public relations, promotional design and development work, and she is a certified activities director. Kline joined News-Sun as a correspondent. 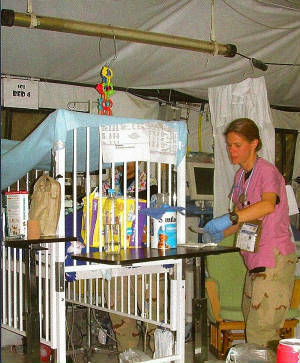 In 2007, Captain Kristine Ratliff works with babies at MASH hospital in Balad, Iraq. 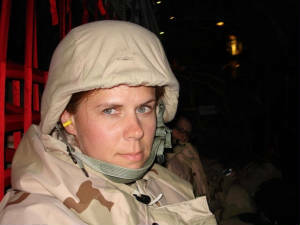 In the peak of her career, Major Kristine Ratliff had already served two tours in Iraq with another tour scheduled to begin July 2010. In April, the pediatric intensive care unit where Major Ratliff worked in the base hospital at Lackland Air Force Base was in the process of relocating to Brooke Army Medical Center (BAMC), located at Fort Sam Houston in San Antonio. Ironically, it was to the intensive care unit at BAMC that our daughter was airlifted the night of her accident. On her way home from the base hospital on April 21, 2010, Kris suffered a severe traumatic brain injury (TBI) when her car was crushed by an F-350 pickup traveling at a speed of about 60 or more miles per hour. She became a patient in the superior ICU at BAMC and life became a prolonged series of surgeries, procedures, and struggle to survive. It took a day to work out schedule changes and travel arrangements in order to fly to San Antonio. My husband and I along with Kris’s two sisters arrived at BAMC on Friday, and absolutely nothing could have prepared us for her condition. She was being kept alive by tubes and machines breathing and living for her. There were immediate plans for a tracheostomy to keep her airway open and for feeding tube access. While given only the slightest chance of survival, Kris began breathing on her own sporadically as we all took turns standing by her bed during fifteen-minute intervals. With every tiny finger flex or foot movement, our prayers grew more fervent and we began to cheer her on. Kris remained in a coma for more than two months after being discharged from BAMC. She was transported to begin her rehabilitative process in an ICU area at a facility in Austin, Texas. The nursing and care support staff were exemplary, and Kris began to rally very slowly. Once back in Texas, we could spend days helping Kris; talking to her, caring for her. When the breathing tube was removed and a gastro feeding tube inserted, Kris was relocated within the facility to a lesser intensive care area, and she began receiving greater daily therapy. 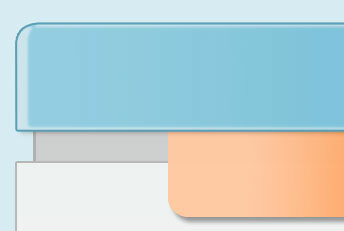 Unfortunately, it was then the care support began to suffer. After having worked many years in health care facilities, I learned long ago that patient care is crucial to healing and rehabilitating. The importance of well-trained nursing assistants and the need for intense scrutiny of their methods and work ethics is integral in the success rate of any facility. The best of the best in hospital, nursing or rehab facilities have support care deficiencies often resulting in tragic, deplorable conditions. Government oversight helps, but the buck stops with the facility leadership and the need for improvement is crucial. One-to-one care is a new and highly innovative concept, and it works. It is the future of health care and, because of their sacrifice, it is imperative that it be considered for our young military wounded today. Neurosurgeon Dr. Richard Teff explains just prior to surgery on 9-7-2010. April 21, 2013 marks three long, arduous years since the accident that left our daughter, Major Kristine Ratliff, RN, USAF, with a traumatic brain injury (TBI). After being discharged from the ICU at Brooke Army Medical Center (BAMC), her first rehab stay was in a facility in Austin, Texas. From May until early October, she worked very hard and made great strides. In September, surgery was scheduled to implant an artificial cap replacing the entire right side of her skull. Since the facility in Austin was almost two hours away from the hospital, a move was contemplated after the surgery. Kris still could not speak, eat or care for herself, and it was my joy to fill the need of advocate and provide personal care. On October 4, 2010, she was admitted to an impeccable rehab hospital with a superb medical staff, and an outstanding medical doctor assumed the lead on her case. She rallied and responded to proficient and skilled therapists. By November, she began typing with both hands on a computer in speech therapy. Her level of comprehension and cognizance was fully intact. Kris walked straighter and longer with an upright walker and a PT staff person beside her. By January 2011, she was given permission to have water therapy in the pool and, having been an avid swimmer, she rallied further. My husband and I had to return home to Florida at the end of December 2010, however. Since her husband worked full time, his presence was minimal at best. With the one-to-one aspect of care eliminated, Kris declined terribly during the three months we were away. To comply with insurance regulations, the case manager at the facility explained Kris’s status had to be changed. Kris began receiving even less therapy. 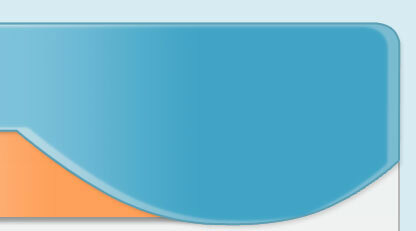 By the time we returned in early April 2011, she had reached a low plateau. Reversing the decisions of change became my personal passion, but to no avail. “It can’t be done,” they said. Arguing with such a narrow-minded viewpoint that Kris had served two tours in Iraq and given more than 20 years was hopeless. By now, it was mid-October 2011, and we simply had to return again to our home in Florida. A “quick fix” facility was found close to her home, and Kris seemed happy she knew two of the therapists at this nursing rehab center. She was making the best of a bad situation and, for that, I was grateful. What I saw, however, was discouraging even while I tried to be upbeat. In truth, it was a glorified nursing home and, as we came to realize, a place of deplorable care. The number of military men and women veterans since September 2011 is not firm. These younger veterans, however, must be given every chance to “come back” to their former lives. That requires greater therapy, one-to-one care, and more funding to make it available to them. Dignity is their desire, and they have earned it! 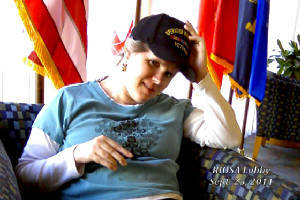 Maj Kristine Ratliff, RN, wears her Iraq Vet hat. TODAY’S VETERANS: WHERE DO THEY GO FROM HERE? In 2009, women made up 8 percent of the total Veteran population in this country. Today the ratio of more than 50,000 wounded soldiers is believed to be that one in ten are female. That being said, the Veterans Administration now has five regional Polytrauma Rehabilitation Centers (PRCs) across the country. The new Polytrauma Rehab Center adjacent to the Audie Murphy Memorial Veterans Hospital in San Antonio, Texas is part of that system. It offers an immediate solution for care for our wounded veterans returning from overseas or from devastating injuries received during service time here at home. More newly developed programs, such as that found in the National Intrepid Center of Excellence (NICoE) in Bethesda, MD is yet another example of immediate trauma care. It offers cutting-edge treatment, research and technology for military men and women suffering from traumatic brain injuries and other psychological health disorders. Still, long term is the concern that must be addressed. Here in America, we have come a long way toward acute care for veterans, but not without complications. Bureaucratic oversight, funding and construction snafus make deadlines hard to hit. Our daughter served as a pediatric intensive care unit nurse at Wilford Hall Medical Center, Lackland Air Force Base, and was on her way home at the time of her accident. After more than a year in rehab facilities, she was scheduled to be admitted to the new PRC in San Antonio. Because of delays in its opening, she was sent to a nursing facility and an 8-month stay caused almost irreparable damage. When she was finally admitted to the San Antonio-based PRC for a six-week rehab and evaluation program, it did wonders to bring her back, but it has taken months for her to regain what she lost in a nursing home setting. Continued care is the concern. Where do veterans go when the initial acute care they receive at facilities such as the National Intrepid Center, or the Polytrauma Rehab Center ends, and their progress or personal situation inhibits them from going home? After watching our daughter (an Air Force major, a registered nurse who served two tours in Iraq) deteriorate in a nursing home setting, it is now imperative that more is done. Facilities such as CORE Health Care, who offer post-acute rehabilitation and long-term care as well, who are staffed with licensed professionals and provide one-to-one care, are essential in this new era of young men and women veterans. Preserving their dignity and restoring their independence to the extent possible is paramount for those who have given so much to protect this country’s freedom. It is where we must go from here.